We look after your pride and joy as if it were our own. We believe your car should be stored in the best way possible. That’s why we’re proud to be an official supplier of the industry‑leading car cover specialist – Specialised Covers. Since it burst into the market in 1981, Specialised Covers have become the authority in protecting our beloved vehicles. Working in partnership with the automotive industry’s most prestigious manufacturers, including Bentley, McLaren and Audi, they’ve developed an inventory of car covers that are second-to-none. Whether your vehicle is stored inside or out, Specialised Covers’ bespoke and distinctive designs, combined with their unique material formulations, guarantee the highest quality protection and a perfect fit every time. That’s why we won’t recommend anything else. What makes Specialised Covers different? Specialised Covers’ philosophy is to only develop the best protection for your vehicle. Just as a leading fashion house wouldn’t offer an ill-fitting suit, Specialised Covers do not offer a one size fits all. Situated in Yorkshire, the heart of the British manufacturing industry, each cover is made to order. The combination of advanced fabrics and over three decades of tailoring experience, accentuate the lines and contours of your pride and joy whilst remaining true to the function of protection; resulting in a truly exquisite fit each and every time. What are the advantages of a tailored cover? You’ve worked hard for your dream vehicle, whether you own just the one or you’re a collector, each one is your pride and joy. A tailored cover is the best way to keep your dream in pristine condition. Not only do they offer expert protection from dust, seasonal elements and those inevitable careless accidents, they can help minimise depreciation. 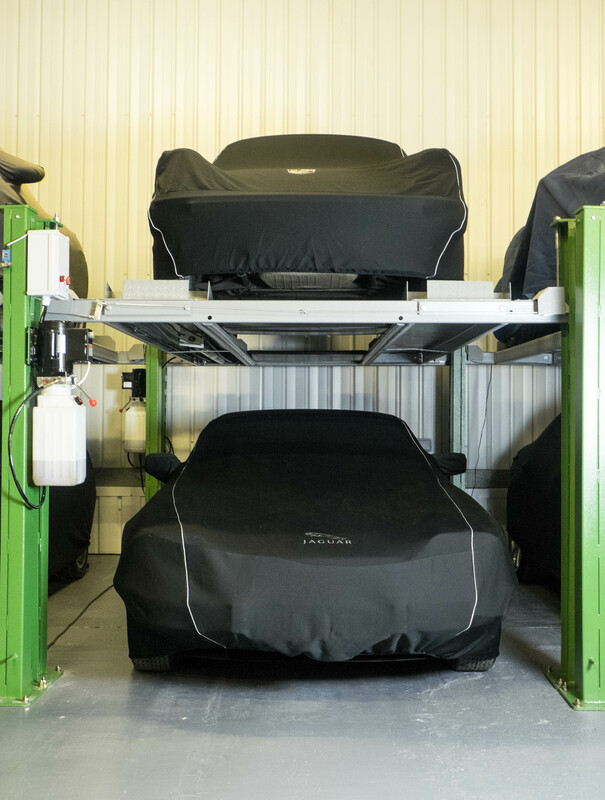 The combination of the TMS Car Storage dehumidified environment and Specialised car covers are the perfect solution when it comes to ensuring your pride and joy is stored in the best condition. For more information on how to order a Specialised Cover please contact us.